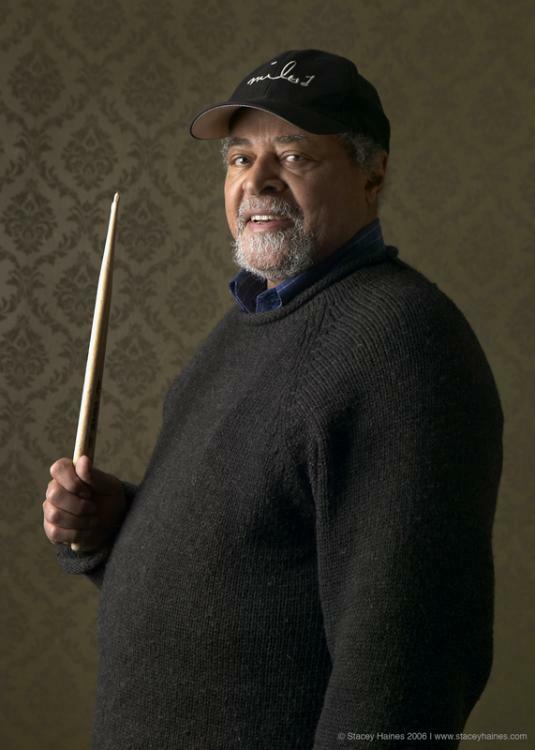 In a career spanning nearly six decades, drummer Jimmy Cobb has proven to be a master of every musical situation. One of jazz’s definitive accompanists, Cobb made his name in support of such giants as Dinah Washington, Cannonball Adderley, Miles Davis, Wes Montgomery and Sarah Vaughan, and on literally hundreds of studio sessions. As the drummer on Davis’ legendary album Kind of Blue, Cobb may be the most frequently heard (if not the best known) drummer in jazz history; and as part of the legendary Davis rhythm section with pianist Wynton Kelly and bassist Paul Chambers, he created a manner of swinging in the modern idiom that remains the gold standard for rhythmic inspiration. For all his achievements, however, Jimmy Cobb’s contribution has too often been taken for granted, which is why he is the perfect subject to help launch the new Honors Series from Marsalis Music. What Cobb heard – a lean, assertive beat that drives a band without calling attention to itself – shaped some of the most influential music of the ‘50s and ‘60s. His stints with Cannonball Adderley (1956-7), Miles Davis (1958-63) and the cooperative trio with Wynton Kelly and Paul Chambers that worked both on its own and in support of Wes Montgomery (1963-8), as well as countless recordings by a who’s-who of jazz greats, confirmed his mastery in the small-group format. This is the setting featured on Marsalis Music Honors Jimmy Cobb, with the quartet completed by alto saxophonist Andrew Speight, pianist Ellis Marsalis and bassist Orlando Le Fleming. Rounding out the quartet is British bassist Orlando Le Fleming, a young player who was called in to sub with Branford at a European jazz festival when Marsalis Quartet regular Eric Revis suffered an appendicitis attack. Le Fleming arrived in the US shortly thereafter, and has been heard most frequently with Jane Monheit. “I didn’t know Orlando before the session,” Cobb emphasizes, “but he is a great bass player.” Le Fleming’s presence highlights one goal of the Honors Series, “To allow older players to pass down their wisdom and experiences to younger players, who in turn can present a new view,” as Branford puts it. Marsalis Music Honors Jimmy Cobb, together with Marsalis Music Honors Michael Carvin, was released on March 14, 2006.